The restrictions are being placed on cattle born or reared in the UK before 1 August 1996. 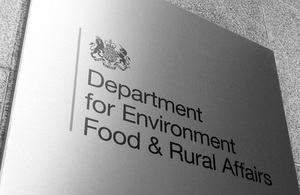 The restrictions are being placed on cattle born or reared in the UK before 1 August 1996 following a Government investigation into whether any illegal trade in these cattle has occurred. Defra has written to the 18,000 keepers with animals of this age to inform them of the new measures. Controls to prevent these animals from entering the food chain are already strong. It is illegal to slaughter pre-1996 animals for food, and specified risk material (SRM) such as brain and spinal cord is removed from all cattle after slaughter. In addition, any cattle aged over 48 months are tested for BSE after slaughter and only those that test negative are allowed into the food chain. “I regret that due to what appears to be illegal activity by a few individuals, this has been necessary. The industry has worked hard over the years to ensure British beef regained the good reputation it deserves, both at home and abroad. Relevant livestock keepers are being informed that no cattle born or reared in the UK before August 1996 will be allowed to move from their holdings without an individual movement licence, and no licences will be granted to move these cattle to markets or through dealers. In practice, this should affect a relatively small number of owners. As at 1 January 2011 there were around 53,000 cattle that were born or reared in the UK before August 1996 - around 34,000 in England, 11,000 in Scotland and nearly 8000 in Wales - on 18,190 holdings. The total cattle population in Great Britain is around 9 million. Fewer than 1 per cent of holdings have more than 20 cattle that fall into this category. The number of pre-August 96 cattle is declining steadily in line with expectations. The removal of specified risk material (SRM) such as brain and spinal cord is the key food safety measure against BSE. In the unlikely event that a cow infected with BSE is slaughtered for food, its SRM would have been removed, thereby removing almost all of the risk. In addition, any cattle aged over 48 months are tested for BSE after slaughter.